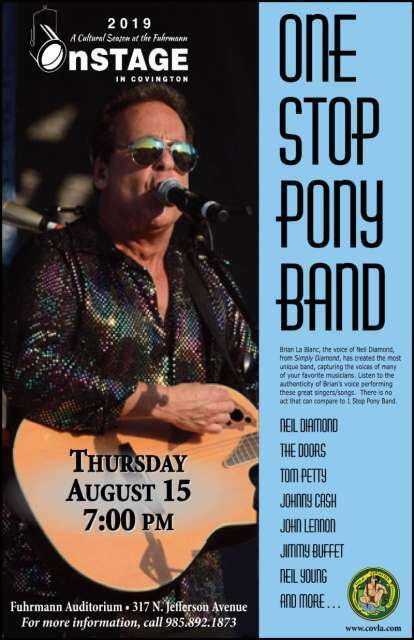 The City of Covington presents One Stop Pony Band in the third performance in the 2019 cultural season at Fuhrmann Auditorium on Thursday, August 15, 7-9pm. Details of the event are to be announced. Tickets are $20 in advance and $25 at the door, if available. Season ticket holders are given first choice of seats, and remaining tickets will be released to the public in mid-August at www.bontempstix.com. 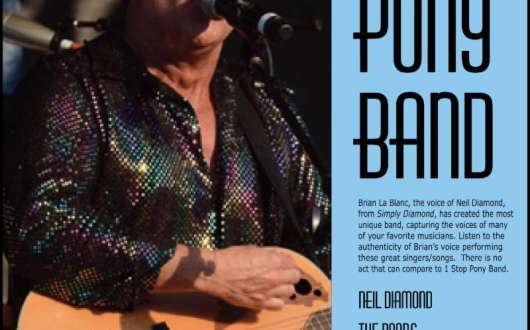 Any tickets not sold online will be available at Covington's Office of Cultural Arts and Events at Covington Trailhead, 419 N. New Hampshire St.